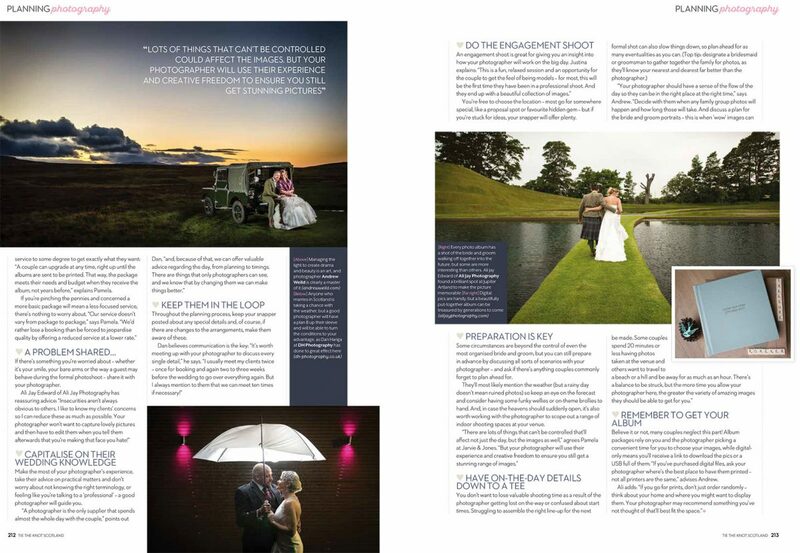 I was recently interviewed by Tie the Knot Scotland magazine for wedding photography advice. Specifically giving couples tips on getting the most from their photographer and making the most of their photography budget. 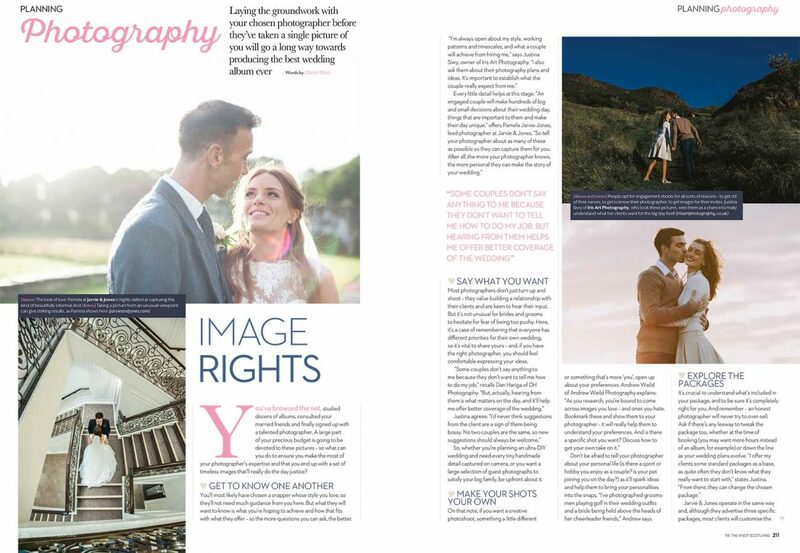 It’s a good article and gives good wedding photography advice. The bottom line is talk to your photographer. Lots! We want to know about you and what you like. We want to know what kind of photos you like. We want to know about the inspiration behind your wedding theme. 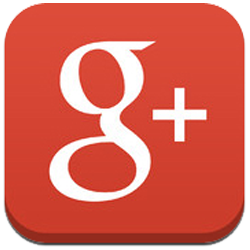 We want the best for you and to make you look good. We want to build trust and make you relax in front of the camera. That’s all done by getting to know you a bit. Together we can make a photography plan for your wedding day. I want to tailor your photography coverage so that it remains as unobtrusive as possible but still gets you the photos you want. Personally, I think it is extremely important you get to spend as much time as possible with your friends and family on your wedding day. Photographers are also a helpful bunch who have been to a lot of weddings and can probably help you get your plan together. I like to talk to couples about all the details (no matter how small) of their day which can really help work out how it all fits together.